Max & Kitty is the ideal solution for pet owners in order to keep their pet happy while they are away. As a pet sitter having the opportunity to keep pets is the perfect combination of work and pleasure. However, how can you stand out from other pet sitters to increase your chances of getting more sittings? Here are 4 tips that may increase your chances of being selected by pet owners. Add pictures to your profile: More than 70% of selected pet sitters have 1 or more photos on their profile. You can choose up to 10 photos on your profile for FREE. Improve your profile by adding photos at any time. To add photos on your profile simply click on the tab “My info” and then “My Photos”. Carefully write your presentation: A richly detailed presentation is often appreciated by the customers. Customers take on average less than 1 minute to peruse your profile. It is therefore very important to prepare it as carefully as you can. Send messages: More than 95% of clients have exchanged with their pet sitters via messages on our website before confirming the sitting. Respond quickly to new requests: Today, customers are becoming more attentive to time and want instant replies. Therefore, do not hesitate to reassure the clients about your responsiveness and availability for sittings. What types of pictures should you put forward on your profile? You are 7 times more likely to have your profile viewed if you have good, eye-catching photos than if you don’t have any. Putting a face to a profile can create reassurance for a client as well as a personalised effect. Are you offering to pet sit from your home? Feel free to share pictures of your home as well as the environment in which your new boarder will stay in: gardens with fences (for the client’s reassurance), the living room, kitchen, etc. Even if you are not offering to pet sit in your home, you can still share pictures that will highlight your passion for animals and their environment: playing with animals, walks in the park, etc. Clients pay special attention to pets that you have already looked after in the past. Therefore, do not hesitate to share your past experiences to help you stand out from other pet sitters: What type of pet did you look after? What breed? How long? You could also describe a typical pet sitting day (walks, games, hugs…). This will help convince owners to use your services. As a pet sitter, if you own a pet yourself, it is important to share this information on your profile. Owners are often reassured to know that their pet will find a friend to play with. Moreover, this will prevent you from receiving non relevant applications if the owner does not wish to have other animals present during the sitting. What kind of message should I send? 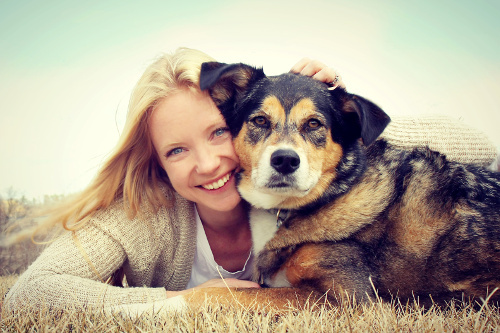 More than 95% of clients exchange messages with their pet sitters before confirming the sitting. When responding to a request, you also have the option of sending a message to the client. You should know that the owners give significant importance these messages as it allows them to gain more information on the sitting’s conditions. Are you sitting any other pets during this sitting? Does your garden have a fence? How present are you during the sitting?